The following slides were taken from a post by Charles Murray-Senior Technical Editor, Electronics & Test. The text and commentary are mine. 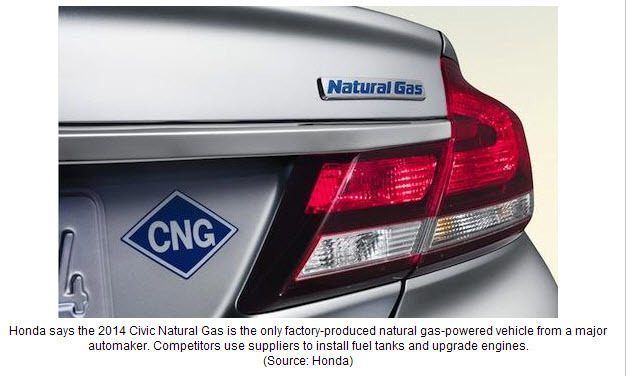 Compressed natural gas (CNG) has been a possible alternate fuel for quite some time. Natural gas is basically methane in varying percentages due to geographical considerations and constituents found in the “mix”. The heating value ranges between 900 and 1200 Btus/Ft³ with a nominal octane rating of 130. One gasoline gallon equivalent (GGE) of natural gas is 126.67 cubic feet (3.587 m) at standard conditions. GEG is the amount of alternative fuel it takes to equal the energy content of one liquid gallon of gasoline. 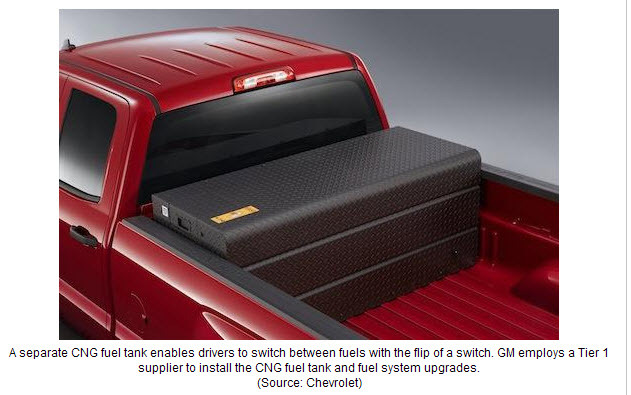 GGE allows consumers to compare the energy content of competing fuels against a commonly known fuel—gasoline. 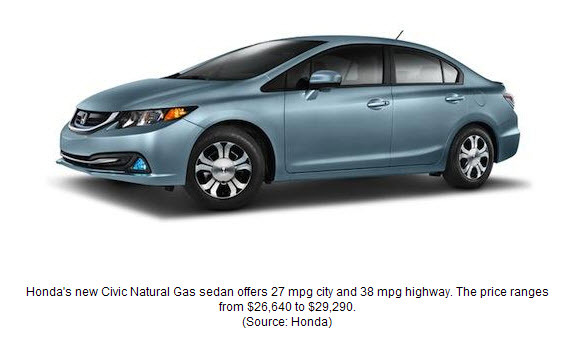 GGE also compares gasoline to fuels sold as a gas (Natural Gas, Propane, and Hydrogen) and electricity. This volume of natural gas has the same energy content as one US gallon of gasoline (based on lower heating values: 900 BTU/cu ft of natural gas and 115,000 BTU/gal of gasoline). 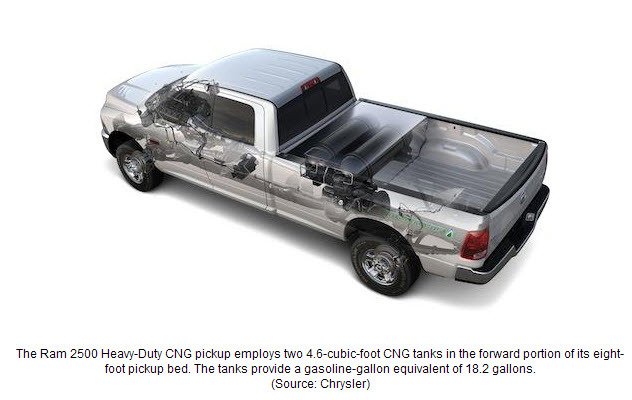 One GGE of CNG pressurized at 2,400 psi (17 MPa) is 0.77 cubic foot (21.8 liters). Again, this volume of CNG at 2,400 psi has the same energy content as one US gallon of gasoline (based on lower heating values: 148,144 BTU/cu ft of CNG and 115,000 BTU/gal of gasoline. Using Boyle’s Law, the equivalent GGE at 3,600 psi (25 MPa) is 0.51 cubic foot (14.4 L or 3.82 actual US gal). 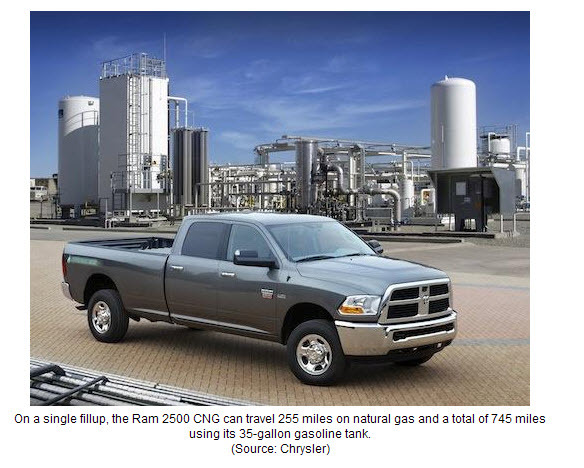 When consumers refuel their CNG vehicles in the USA, the CNG is usually measured and sold in GGE units. This is fairly helpful as a comparison to gallons of gasoline. These facts make it an ideal alternate fuel due to minimal changes and modifications being necessary for automotive engines. 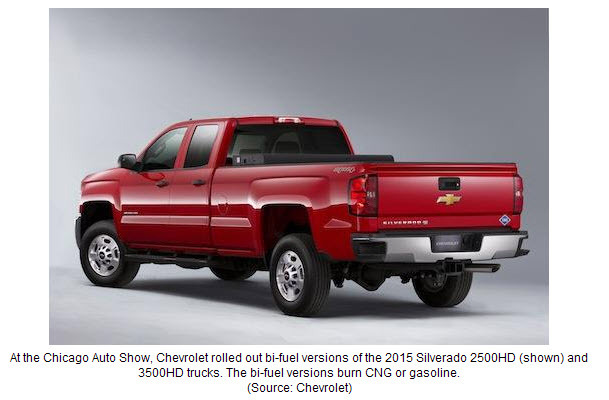 When you throw in the bio-fuel option producing a hybrid vehicle, you have a winning combination. This eliminates problems with infrastructure not providing stations for filling CNG tanks in a judicious manner. 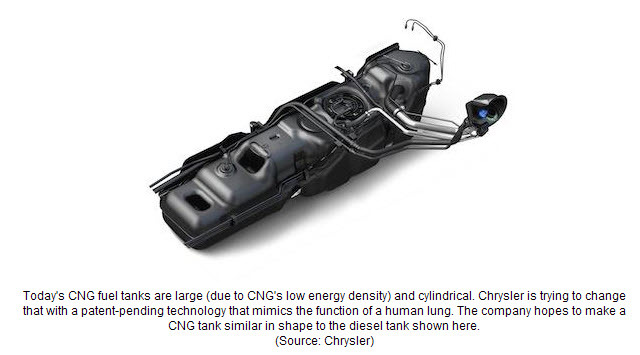 Let’s take a look at several vehicles to see the status of CNG/Bio-fuel development. 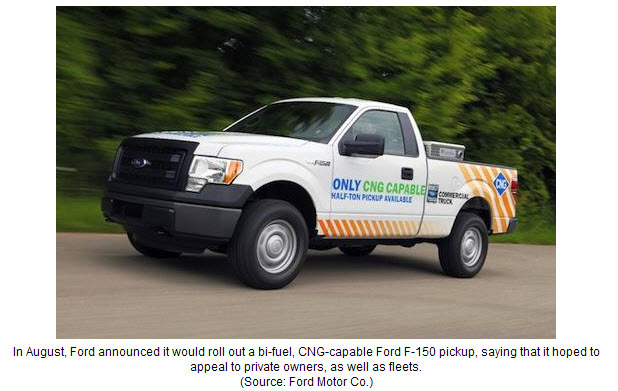 As you can see, the automotive industry is definitely “on-board” with alternative energy and CNG is one compressed gas they are banking on for the future. We will see commercial entry for these models in the very near future. It will be very interesting to see how they are accepted by the marketplace. I welcome your thoughts. Many thanks. This past winter our family experienced a power outage due to ice-laden tree limbs falling on power lines. The Electric Power Board truck came roaring into our driveway one afternoon to make the necessary repairs. The cherry-picker had the technician in the air in no time. The work was completed in about an hour. I brought both techs a cup of coffee and started a conversation regarding the capacity of the transformer hanging in my backyard. I was very surprised to find the device, supplying five (5) houses was running at 250% capacity. This was approximate, but close enough. We have lived in our home for thirty-eight (38) years but apparently the devices needing voltage supplies have increased tremendously. I was told computers, charging mobile phones, stereo equipment, home entertainment centers, microwave ovens, etc have added greatly to electrical demands. Given below are five of the best energy-saving gadgets you can implement within your home. From kettles to phone chargers, these devices endeavor to reduce your energy usage and provide you with an array of easy-to-use, innovative household amenities. Nest has engineered an easy-to-install, energy-saving home thermostat. This device interrogates your daily routine and automatically adapts its settings to suit your heating preferences throughout the day. 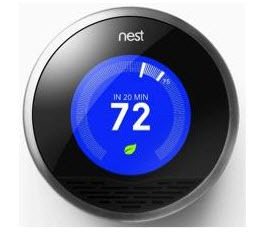 All you have to do is alter the thermostat to your particular needs, and the Nest will develop a personalized heating schedule. You can alter this schedule at any time should your preferences change. What’s more, a special Leaf feature informs you of the most energy-efficient temperatures for your home. A handy Auto-Away option ensures that your heating is turned off when you leave. Irrespective of your living arrangements, the Nest is a thermostat that adapts to your every need. It saves you energy while offering you optimum heating comfort. The device sells for about $249.00 and takes about one week to “learn” the comforts you wish. It also has a remote control device. If you always leave your phone charger plugged in, this ingenious gadget is for you. 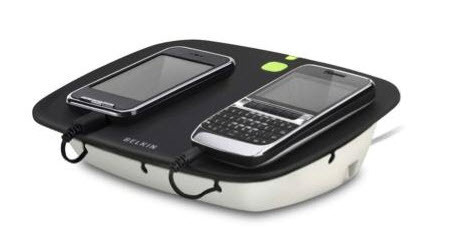 The Belkin Conserve Valet enables you to charge four devices at the same time. Moreover, when charging is complete, the device cuts the power completely, thereby saving you from expending unnecessary energy on a plugged-in charger. It also monitors the power gauges of your devices to ensure they are always fully charged via the most environmentally economical method available. Most chargers continue to use power as long as they’re plugged into the wall—even after you unplug your device. The Conserve Valet Smart USB Charging Station lets you charge all of your mobile devices in one convenient place, and automatically shuts off power—including standby power—after devices are fully charged. It even senses when new devices are added so you always get a full charge, and has an innovative cord management system to keep things neat. Keep your devices ready to go, and save energy, too. This device is priced at $99.98 through Amazon. The Ecobutton is an ideal gadget if you want your PC to use less power. You simply press the Ecobutton when you’re away from the PC, and the device places the computer into its most efficient energy-saving mode. Furthermore, it will record how much power, money, and carbon units you’ve saved using it. The data it provides is beneficial in enabling users to monitor, and therefore reduce, the power use of various computers. The cost is only $8.00 UDS and is definitely well worth the price. Always forgetting to turn off your lights? The Maestro Occupancy/Vacancy Sensor senses when you enter or exit a room and switches the lights on or off accordingly. This device automatically turn lights on when you enter a space and off when you leave, creating a convenient way to save energy at home or commercial space. 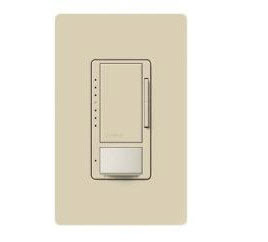 They’re ideal for rooms where lights are accidentally left on, such as an office, or rooms that you often enter with your hands full, such as a laundry room or supply closet. A sensor detects the amount of natural light in each room and adjusts the lighting to reach your preferred level. This device effortlessly provides you with efficient lighting throughout your home, illuminating with energy-saving ambience. Consult your local hardware store for pricing. Highly recommended by the Energy Saving Trust, the easy-to-use Eco Kettle can reduce your tea-related energy expenditures by 30%. It lets you select exactly how much water to boil. It also contains a handy reservoir, so you don’t have to top up your kettle every time you make a fresh pot of tea. With prices starting at just £20 ($33), an Eco Kettle can drastically reduce your water use. A top-of-the-line model is about $63.00 US. 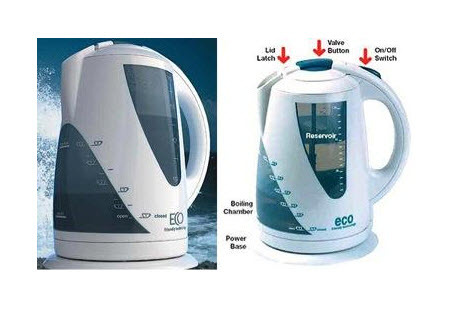 The built-in measuring capacity of the Eco-kettle adds convenience and precision. We should hope that the design also provides for an automatic shut off when the water reaches boiling point, and insulation to keep water hot until that phone call is finished. Bundling features is an advantage if it leads to a personal enjoyment that encourages conservation…to a point that is price determined. As we all know, there are probably many other energy-saving ideas and processes. The ones I have mentioned above are moderately priced and used in the home. Hope you enjoy the write-up. Over the past three or four weeks we have been advised of several tragedies resulting from carbon monoxide poisoning. Due to the ridiculously cold winter we have experienced this year heating systems have been running just about non-stop. I have several friends in the northern part of our country that have heating bills topping the $700 per month level. Gas-fired heating systems MUST operate properly or death can occur as a result of an over-abundance of carbon monoxide in the products of combustion. This, unfortunately, has happened all too frequently this winter. Let’s take a very quick look at how this can occur, and why proper maintenance of heating systems is absolutely critical. You can now see why the 800 PPM is considered to be the very maximum level of CO in products of combustion. CO can be a very DEADLY constituent resulting from incomplete combustion. In looking at atmospheric gas burners, we note that two (2) sources of air are available; i.e. 1.) Primary and 2.) Secondary. Air which is mixed with gas before that gas/air mixture is ejected and ignited at the ports is called primary air. A definite minimum amount of primary air is required for complete combustion no matter what gas type is being used. That minimum percentage of primary will vary depending upon the type of gas, its specific gravity and its heating value. 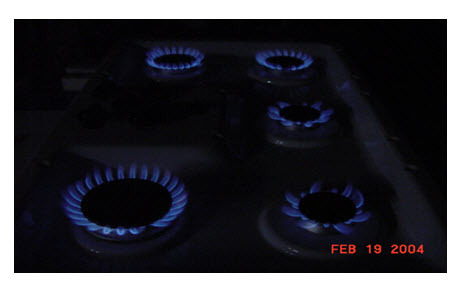 All other air supplied to the burner is called secondary air. In an ideal case, primary air and secondary air should be 100% of the air needed for complete combustion. All air supplied is called total air. Ideally, 10 cubic feet of air is needed for 1 cubic foot of natural gas if complete combustion is to be accomplished. Suppose that 15 cubic feet of air is supplied to a burner for each cubic foot of gas. The total air is 150% (15/10 X 100%). Excess air is 50% (150%-100%). Now suppose that 5% of the air supplied from that 15% is primary air. The remaining 10 cubic feet would be secondary air and excess air. Approximately 20 cubic feet of air is needed for 1 cubic foot of propane and 30 cubic feet of air is needed for butane. Please note that this is a volumetric measurement with the respective flow rates being in FT³/ Hr. It is proper to consider Ft.³/Hr of fuel gas combined with Ft.³/Hr of primary air for complete combustion. This mass flow rate would be the total mass flow rate for the mixture of gas and air entering the mixing tube. Distinct individual flame pattern. You can count the number of ports by counting the number of individual flames emanating from those ports. No blowing or lifting of flames; i.e., separation of the flame from the burner port. No flash-back of burner flames. No offensive noise during ignition, operation or extinction. No offensive odors emanating from the combustion process. The burners above show flame patterns producing complete combustion with minimal CO in the products of combustion. Now, I would like to show you a picture of a burner system that is NOT firing properly. Sometimes it is easier to discuss proper operation by looking at a burner behaving badly. This design, shown below, breaks ALLof the rules given above. This is a gas grill basically used for “tail-gate” cooking. The propane tank and grill are integral parts of the trailer. The trailer is attached to the car with a bumper hitch, and then towed to the game behind the vehicle. I was asked to “pass judgment” on the design and indicate to the designer what corrective actions I would recommend. It did take some time. Yellow flames; an indication of inadequate primary air and incomplete combustion. This condition will produce sooting (or carboning) and will generate an intolerable amount of carbon monoxide. If this product were used in an enclosed space, there would be definite issues with the accumulation of carbon monoxide. We can expect some yellow tipping because the fuel gas is propane. Typically, propane and butane produce yellow burner tips but this is much too much and represents a condition that must be rectified. Flame height is very irregular which tells me there are real issues with primary air injection, burner alignment and issues with the burners being level relative to the mounting system. The orifice size metering gas to the burners is very suspect and, as I discovered, much too large relative to the design capability of the burners for propane. Very probable that there is an issue with delivery pressure. A “lazy” flame indicates the pressure needs to be checked and corrected if inadequate. A system firing on propane should have 11.00 inches water column (W.C.) downstream of the regulator and available at the burner orifice(s). It is difficult to see from the picture, but the gas delivery system to the orifices was almost serpentine in configuration; tubing everywhere! The tubing was 0.25 inch in diameter with each of the four burners orificed to fire 50,000 Btu/Hr. This was truly a “master blaster” but with a gas delivery system very suspect relative to pressure losses. 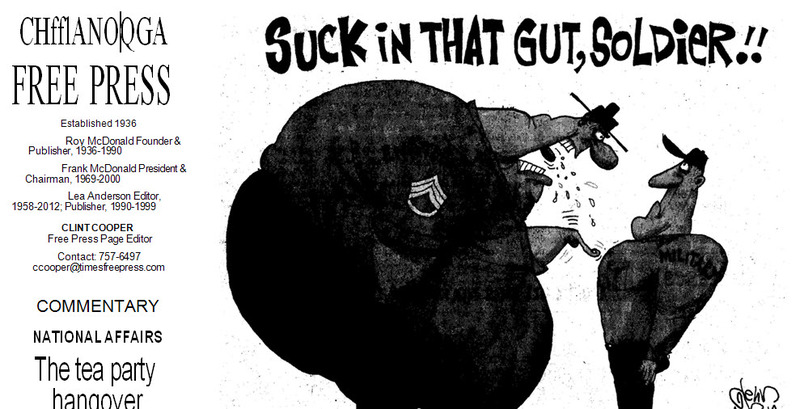 Please remember—pressure losses in a gas delivery system are the enemy and are to be avoided at all costs. In looking at the “superstructure” of the burner system, there is a real issue with misalignment of the burners during movement of the trailer. 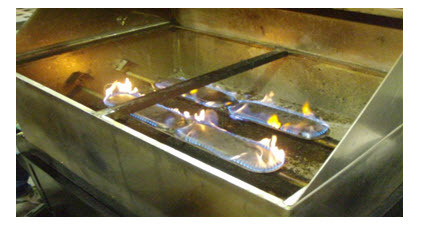 The burners can become displaced, thereby creating a hazardous condition. This definitely needs to be corrected to provide additional stability of the entire system. This last point is somewhat academic, but the designer did not consult any design standard prior to initiating the project. It was all “off-the cuff”. Cut and try. If it works fine, if not fix it. No real attempt at obtaining the ANSI standard for gas-fired grills or gas-fired products and following that standard. Believe it or not, there were corrections made to the design and much better performance did result. That product is now is in the “field test” phase and will be introduced in late summer—ready for kickoff. Now let us examine the basic operation of an atmospheric gas burner. We do so by looking at a typical atmospheric the gas burner design shown as follows:. Gas is supplied to the burner orifice by virtue of pressure from the distribution system or the gas bottle; i.e. ; propane or butane. For natural gas, that pressure is generally delivered between 9.00 and 12.00 inches water column. The gas is then regulated to a delivery pressure between 3.5 and 4.00 inches W.C for natural gas. If the gas is propane or butane, the delivery pressure will be between 10.5 and 11.00 inches W.C. A regulator is located on the gas bottle so adjustments may be made to achieve the proper delivery pressure. It is not uncommon to have an additional regulator mounted on the gas-fired device. 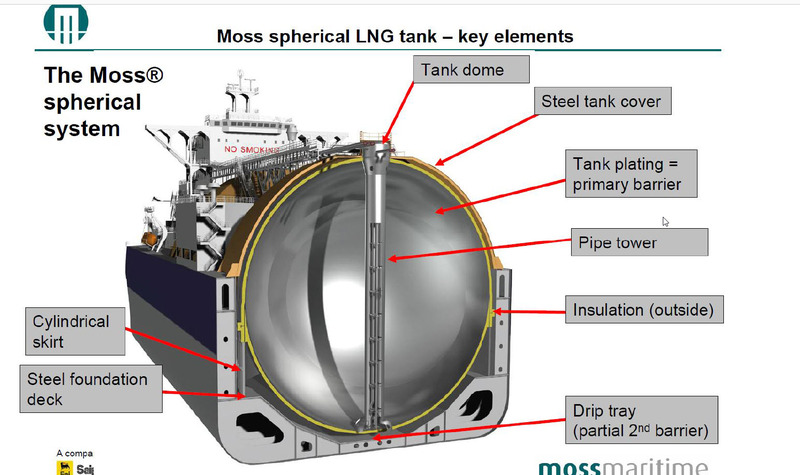 All regulators have “pressure ports” from which the gas pressure may be measured so if there is any doubt about delivery pressure, please check. A simple “U” tube manometer is completely adequate for this measurement. Simply measure the difference between the heights of the columns. This difference is the pressure relative to atmospheric. As mentioned earlier, the air for combustion is called primary air and is provided at atmospheric pressures from outside the appliance. Gas is metered by virtue of the burner orifice. Primary air is drawn through the air shutter as the gas is “streamed” from the orifice opening. The injection of the gas creates a negative pressure relative to the ambient pressure so atmospheric air is entrained through the air shutter and the mixing face. The orifice diameter controls the gas flow rate, generally measured in Ft³/ min or Ft³/Hr. The combination of gas and air occurs in the mixing zone or burner tube. It is very important that the internal design and length of the mixing tube allow for proper combination so a homogeneous gas /air mixture can result and be delivered to the burner head prior to ejection through the burner ports. The venture “throat” serves as a converging / diverging nozzle to increase the velocity of the gas/air mixture prior to entering the mixing tube. The mixture is then swept into the burner head and distributed to the individual burner ports for ignition. The ports act as a restriction to flow; thus, port loading has a great effect on primary air injection. (I would again direct your attention to the glossary in the appendix for the definition of port loading.) It is also important to note that internal burner roughness has an effect on the injection of primary air through friction losses. It is definitely possible to increase primary air by enlarging the burner ports, thereby reducing individual port loading. When this occurs, care must be taken to make sure that no flashback results. Flashback occurs when the velocity of the ejected gas/air mixture is less than the velocity of the flame front through the individual ports. When this occurs, burning may actually “flash back” to the burner orifice. This condition is prohibited by ANSI (The American National Standards Institute). Ignition takes place at one port with carryover to the remaining ports. Again, ignition time should be at or less than four (4) seconds to preclude an accumulation of uncombusted gas. This time is also prescribed by ANSI. Continued ignition takes place around or along the burner ports until gas is no longer supplied to the burner. This control is generally accomplished by virtue of a thermostat that senses temperature or closure of a gas valve done manually by the user. I definitely hope this very short explanation will help AND provide needed information relative to safety that must be considered when operating heating systems.